YanniG: Game over for this cache. You know who to blame...those who kill my country little by little all those fcuken b@st@rds of the troik@. No way for me to make such travels any more. This is a traditional cache at the highest area of the island of Santorini, 505 meters above sea level. 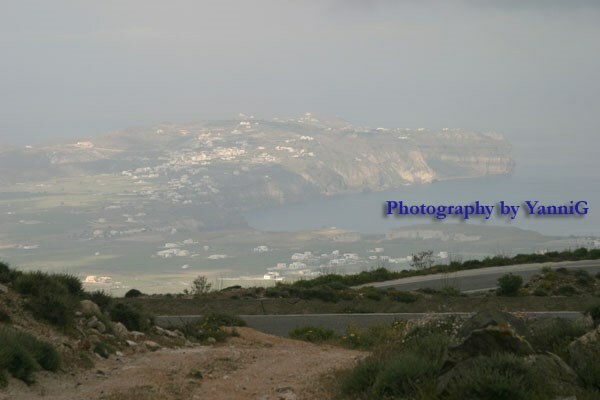 Head to the village of Pyrgos at the cental area of the island and follow the signs to Profitis Ilias monastery. altitude.It is like someone is having a BBQ but there is no smell of souvlaki around ! ! ! Once you find the cache and log your visit,enjoy the spectacular view from the spot. Once you find the plastic container and log your visit, please return it and leave it exactly as you found it. Enjoy the view of the whole island as much as the clouds permit. Ybbx haqre gur ebpx sbezngvba.